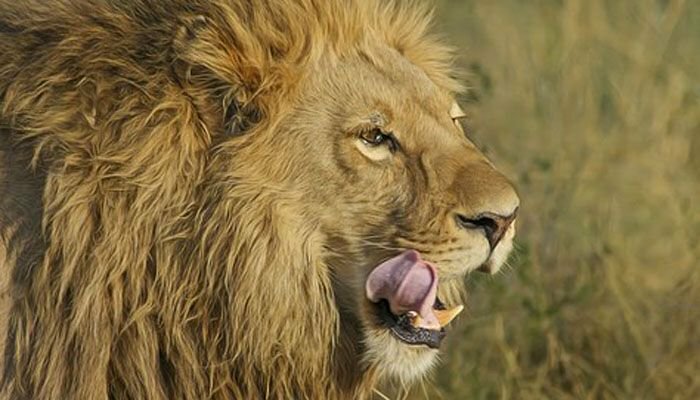 Group of Poachers presumably Eaten by Lions in South Africa. The South African authorities have found physical remains of people in a South African reservation. It is probably poachers who have been killed by lions. The bodies of the victims were found earlier this week in reserve at Kenton-on-Sea, the South African newspaper The Herald and the Press Cube reported Thursday. It is still to know how many people died. “Looking at the shoes and stuff was found, I suspect that it is two or three people,” says park owner Nick Fox to the newspaper. The owner does not doubt that the victims were poachers. That would be evident from the recovered items. For example, the axe was supposedly meant to chop off the horns of killed animals. The police are investigating whether poachers or criminals had previously used the recovered rifle. Presumably, the poachers encountered a large group of lions. “We do not know exactly how much, but there is very little of the people”, according to park manager Fox. Several lions had to be stunned to collect all human remains. The police patrolled the park to see if there were survivors, but could not find anything. In 2018 alone, nine rhinos have been killed by poachers in the Eastern Cape, the province where the park is located. In the past decade, that number for South Africa is more than seven thousand, writes the BBC.